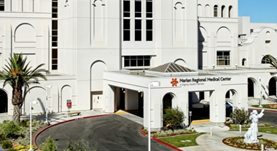 Dr. Johanna Baran is a pathology specialist in San Luis Obispo, California and she works at several hospitals in the area, including Marian Regional Medical Center. She got her diploma from The Ohio State University College of Medicine and did her residency in Anatomic and Clinical Pathology at Massachusetts General Hospital. Dr. Johanna Baran did a fellowship in Dermatopathology at Beth Israel Deaconess Medical Center. The doctor is certified in Dermatopathology, Pathology - Anatomic/Pathology - Clinical and has an experience of more than 10 years. Dr. Johanna Baran has contributed to 3 publications. 'Monster cell' melanoma with pulmonary metastasis and cyclin D1 amplification. Hawryluk, E. B.,Baran, J. L.,Gerami, P.,Sepehr, A.; J Cutan Pathol. 2013 Jan. Combined Melanocytic Nevi: Histologic Variants and Melanoma Mimics. Baran, J.L., Duncan, L.M. ; Am J Surg Pathol. 2011 Oct. Patient with amyloidoma of the ulnar nerve and salivary glands. Salameh, J., Baran, J.L., Tick Chong, P.S. ; Muscle Nerve. 2009-12-01.